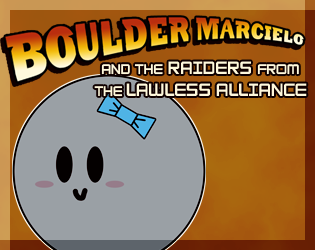 Be the Boulder from "Indiana Jones and the Raiders of the Lost Ark"
Boulder Marcielo was relaxing in her temple when one day, some jerk from the Lawless Alliance named "Intruder John" barged in uninvited, damaged everything, and stole her favorite golden idol! now she needs to stop intruder john from leaving the temple with the golden idol! Great game addition to the movie game jam!